We’ve hardly bought books last year more because of the shipping costs. We typically order from Amazon as we don’t usually find books we like at the bookstores in Shanghai esp. when it comes to crafts and cooking. My sister-in-law had showered me with cooking books on my birthday last year. 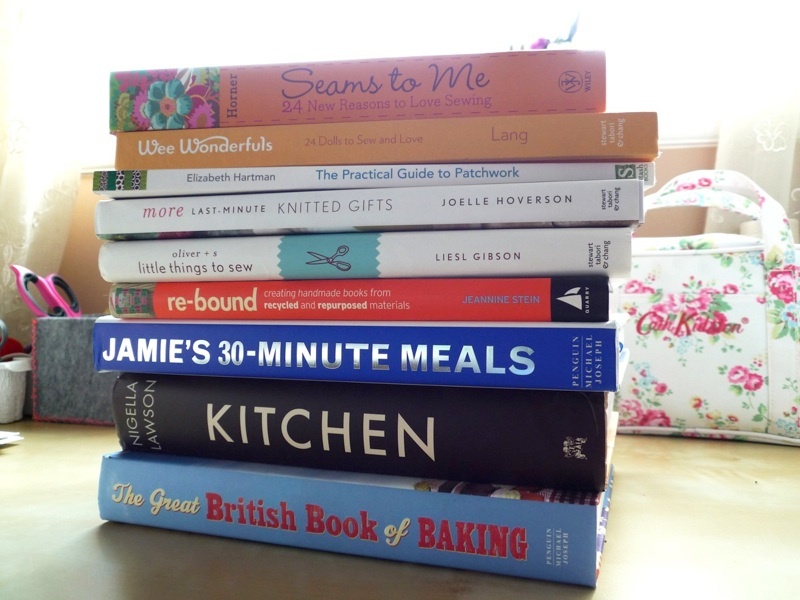 Fantastic additions to my cooking books and cannot wait to try out some of the recipes. Then at Christmas, we finally got to spend out Amazon vouchers which we have been accumulating for the past birthdays and Christmases and placed a big order. Seams to Me is something I’ve been wanting to buy so it was exciting to finally have it! Audrey had already told me that the Wee Wonderfuls book is ‘hers’ and we had gone thru each project to see which ones we will make together. Excited with the Practical Guide to Patchwork as I’ve been following Elizabeth Hartman’s blog oh Fransson! More Last Minute Knitted Gifts is a great follow-up to the Last Minute Knitted Gifts (which I happen to own) and already saw a couple projects I want to knit! The Oliver+S Little Things to Sew and Re-Bound were bought locally. I totally love these 2 books! Lots of great projects!